For many people visiting America for the first time, it can be difficult to learn all of the customs and traditions of U.S. life prior to your arrival. With so many different races, genders and personality types, it’s important to know a few vital pieces of information that could help you feel more comfortable in a foreign land. Here are some of the most important things to keep in mind when spending time in the United States, ensuring that you have a great stay and don’t offend anyone. Two terms that begin with the letter “T” should be expected during nearly every monetary transaction you make in America. Don’t be caught off guard if you see tax or tip included in your bill, these are common additions that should be expected on every receipt or transaction you make. While it isn’t smart to joke around at any airport, the US Transportation Security Administration (TSA) does not tolerate any kind of funny business or game playing. Try to keep the bomb jokes to yourself, or if you have to tell somebody, wait until you have landed and are away from security to share your thoughts. Americans are typically very friendly, but many have never left the states and could have problems understanding your foreign accent. Try to be patient and enunciate everything, or do what many visitors do when they enter the United States: adopt an American accent. When spending time in another country, a good tip for saving money on unnecessary expenses is to cut back on how frequently you use your phone. While free WiFi may be available at some locations, don’t rely on this for everything. Anticipate spending money on roaming fees anytime you make a call, so ease up on the browsing until you find a spot to do so safely and free of charge. These travel tips will help you make the most of your next trip to the United States. For more information on international travel insurance, contact Insurance Services of America today at (800) 647-4589. If you are taking a cruise anytime in the near future, you should consider making holiday travel insurance a part of your travel plans. Travel insurance can protect you from many of the unexpected events that can occur during your trip, and give you the peace of mind to relax during your vacation. Here are just a few reasons you should consider securing travel insurance before your next cruise. If an unexpected event such as bad weather or mechanical issues brings your cruise to an abrupt end, you may find yourself disembarking at the next port of call. While the cruise line may assist passengers during events such as this, travel insurance will reimburse you for out of pocket expenses that the cruise line doesn’t cover. You’ll avoid the hassle of being stuck waiting around for a cruise line to book hotels and flights home for thousands of passengers in the same position as you. When unexpected events force you to cancel your vacation, the cruise line may not refund the cost of your trip depending on how close it is. Even if you are refunded some amount, there are typically cancellation penalties associated with doing so. Holiday travel insurance can cover you in cases such as this, ensuring that you receive near full reimbursement. There are many reasons a flight can get delayed, from harsh weather, to mechanical issues, to everything in between. You shouldn’t be penalized for delayed flights or missed connections that are out of your control. If you miss boarding you cruise liner because of travel delays, travel insurance will cover the expenses associated with either rescheduling or refunding your trip. It’s always a good idea to have some form of medical coverage when traveling outside of the country. Whether you wind up with something as simple as the flu or as serious as a broken bone, you don’t want to be saddled with the out of pockets costs associated with emergency medical treatments. With more serious health threats, such as heart attack or stroke, the ships sick bay may not be able to treat you. If the next port of call is too far away, a medevac may be the only means of preventing loss of life. At Insurance Services of America, we put over 40 years of experience to good use by making holiday travel insurance easy to obtain. Call (800) 647-4589 or 01 (480) 821-9052 today to learn more. As with any extended trip, it’s important to properly prepare yourself with enough luggage to last the duration of your time away from home. For university students, it can be tricky to know exactly what you will need for the entire time you will be studying abroad. To help you cut down on clutter and pack only the essential items, here are some helpful tips on how to pack for a semester abroad in the United States. To begin planning for your trip, make a list of everything you think you will need during your time in the U.S. Next, remove the items from the list that you will be able to purchase once enter the United States. While it’s smart to be prepared for everything, you won’t want to lug around unnecessary items during your stay. Most university students dress in a casual manner when attending classes or walking around campus. With a majority of people donning jeans, t-shirts and hooded sweatshirts, don’t worry about dressing to impress on the first day of courses. Additionally, look into the weather habits of the region where you are studying to properly prepare for any excessive rain or snow while you are there. Since most electrical outlets differ from country to country, look into bringing both a power adapter and a converter with you on your travels to America. Converters will change the electrical voltage for safe use, while a power adapter will allow you to plug the devices from your country into American outlets. These helpful tools can prolong the life of your electronic devices and will prevent you from blowing a fuse in your room. To ensure your medications make it safely with you to your final destination, have a doctor sign off on a list of all the prescriptions you currently take. This will reduce the risk of having to explain why you have drugs in your bag to TSA officers. Additionally, make sure to bring extra medications and replacements for important items like eyeglasses and contact lenses. It also couldn’t hurt having a copy of your eyeglasses prescription in case of emergency. By taking the time to detail exactly what you need when studying abroad in the United States, you will be properly prepared for just about anything during your time at university. For more information on travel medical insurance, contact Insurance Services of America today at (800) 647-4589. 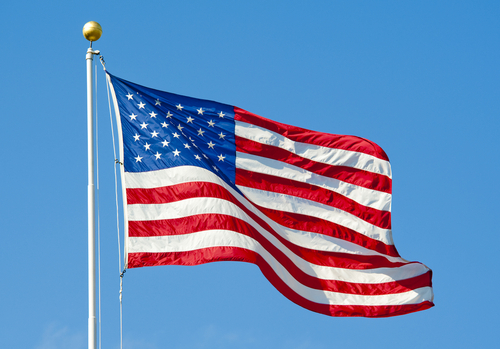 America is often considered the land of the free and the home of the brave. While it certainly takes a brave person to visit the United States for the first time, you will find that the freedoms found in America make it one of the most unique and fascinating countries in the world. Like any other location, there are some things to be aware of when visiting the USA for the first time. Here are some tips that will help you fit in with Americans and enable you to have the best possible trip to the United States. American citizens have a tendency to communicate with friends and even strangers in a very frank and informal manner. Don’t be alarmed if someone says something insulting or rude upon first meeting, since American’s usually talk to each other in an informal and joking style. Don’t get offended by anything you hear at a restaurant or on the street, it is likely that they aren’t talking to you or didn’t mean to provoke you. Unlike some other countries around the world, the United States is a tip-centric culture. Since tips are generally a major portion of the paychecks of many Americans, this means that you should be prepared to pay an extra dollar or two when dining out, enjoying drinks or having your car parked. On of the quirkier aspects of the United States is a stubbornness and unwillingness to adapt the same measurements used in a majority of countries across the globe. While you may be used to seeing meters and kilograms in your country, prepare yourself for the onslaught of pounds, inches and miles that are used as measurements in America. In the United States, the standard electrical current is 120V, with 60V alternating current. If the electronic devices in your country utilize a different voltage, you will probably need an adapter to charge or use your high tech gadgets. Upon landing in the United States, you will find that America is no different from any other country. It might take a little while to learn all of the customs of American life, but being aware of these helpful tips can offer a solid starting point to ensure a fun and exciting trip to the USA. For more information on overseas health insurance, contact Insurance Services of America today. If you or someone you know is planning to visit the United States, there are a lot of factors to take into consideration. This article will help bring into focus one important aspect of your travel planning. Before you or your loved one leaves for the United States, be sure to do your research on international health insurance for non-US citizens. To start, we’ll help you cut through one of the most common myths regarding travel insurance in the U.S.
You may be surprised to learn that routine care in the United States is not covered by the typical travel health insurance plan. If you are worried about getting physicals, vaccines or routine check-ups while in the United States, you might want to find appropriate coverage. A good plan is to schedule a regular check-up with your doctor before you depart. Why Isn’t Regular Care Covered? The short answer is cost. Premiums for travel health insurance would rise steeply if these plans covered routine care. The premiums are reasonable now, but if the plans covered flu shots and everyone took advantage of that, costs would skyrocket. So What Good is Travel Insurance? International health insurance for non-US citizens is still an absolute necessity for any international traveler looking to protect their health and finances. Travel health insurance exists to cover you should you have a sudden illness or need emergency care. If you’re coming to the United States, you’ve got two options for medical care: pay out of pocket or purchase travel health insurance that provides coverage for medical issues that arise. Be warned, pre-existing conditions aren’t typically covered, so take this into consideration when shopping for insurance. When you’re deciding whether to accept the risk of paying out of pocket for unexpected medical care, know this: medical treatment in the United States is among the most expensive in the world. The care is good, but it’s costly. Securing international health insurance for non US citizens can be complex, but the process doesn’t need to be a hassle. Thankfully, you don’t need to be an expert in international insurance to protect yourself against a financial disaster. At Insurance Services of America, we make health insurance for foreign nationals as easy as ready, set, renew. Call us today at (800) 647-4589 to learn more about quality travel health insurance. It is a common and safe practice for women to travel during pregnancy, depending on where their stage of pregnancy and the state of their overall health. For many, as soon as they get the doctor’s OK, they start packing their bags. This can be a welcome get away for those expecting, but without proper planning, your vacation can end up costing a lot more than airfare. The so-called “Million Dollar Baby” case had insurance providers and lawyers strongly emphasizing the need for people to better understand the fine print in their insurance policies. In addition, even if the medical costs of the mother are covered, many insurance policies do not cover the costs of caring for the newborn. This could prove a very important policy detail if you are traveling to the U.S.
Policy stipulations, such as pre-existing conditions or requirements that a patient be “medically stable” during the 90 days leading up to departure, can be confusing. It may be wise to ask your insurer for a print-out of all exclusions including pre-existing conditions. Discuss this list with your doctor to determine if you are at risk of incurring ineligible expenses. 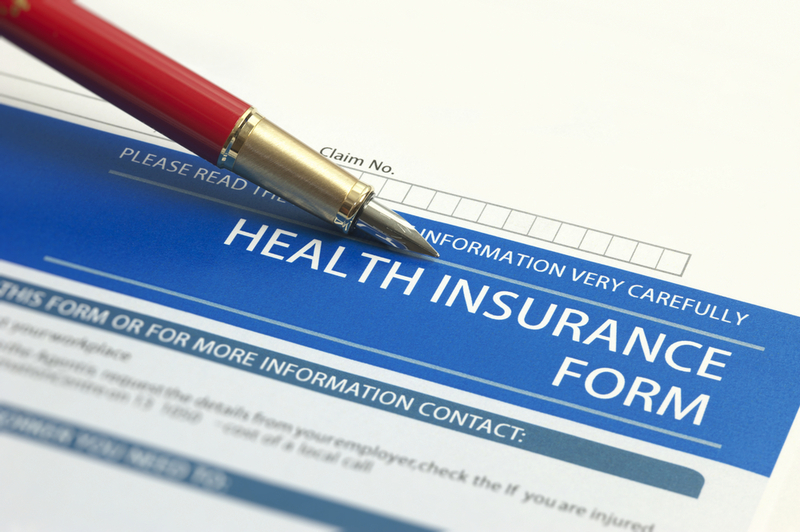 Ask questions about your health insurance policy, and get the details in writing. 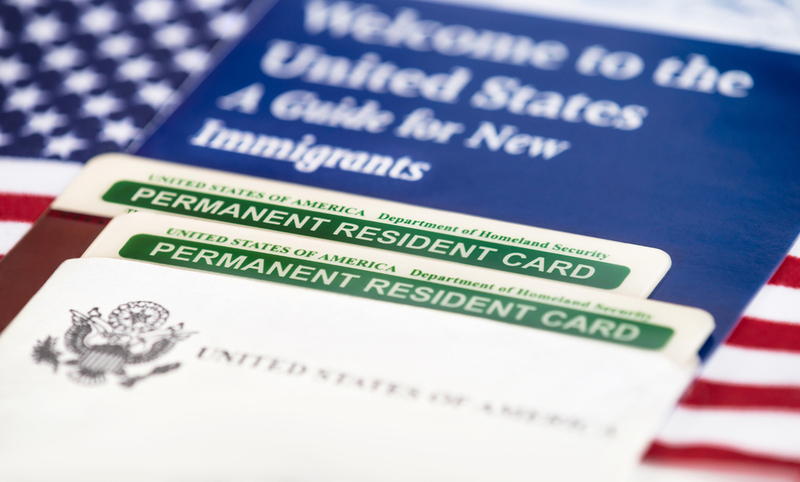 Many visitors to the U.S. turn to health insurance for non U.S. citizens. These insurance plans, specifically for travelers, can help fill the gaps left by your tradition health insurance, so you can travel abroad without financial worry. At Insurance Services of America, we make health insurance for foreign nationals as easy as ready, set, renew. Call (800) 647-4589 or 01 (480) 821-9052 to learn more.